What is Litigation Support Melbourne? Litigation support refers to the assistance provided by a forensic accountant in relation to any given case, which deals predominantly with the calculation of economic damages. Although litigation support represents support provided to a client with regards to a legal dispute, the role is not limited to existing litigation. A forensic accountant may advise a client in advance of a potential legal dispute, resolving their issue before it reaches the courtroom. Litigation support, as well as investigative accounting, is one of the primary roles of the forensic accountant. 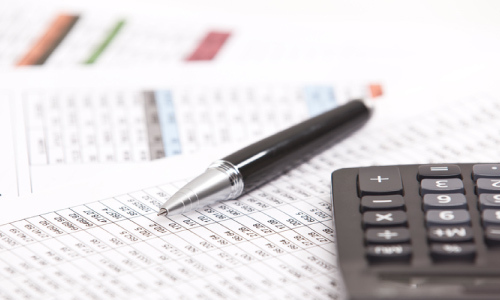 In advance of a financial dispute going to court, clients may retain a forensic accountant to assist in the determination and documentation of any potential financial loss or damage. Litigation support in the face of pending arbitration often resolves any financial disputes before they reach the courtroom. Forensic accountants are distinct from typical accountants in their familiarity with legal processes and arbitration. More than this, they are experts in finance and in litigation, and know their way around a courtroom. This special legal knowledge affords them insight into the manner in which financial legal disputes are settled and resolved. With these skills, a forensic accountant may save their client time and money by circumventing courtroom arbitration. As such, forensic accountants are becoming essential for public or private entities that seek to swiftly and efficiently resolve financial disputes. 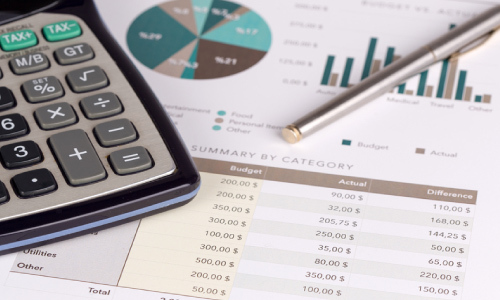 If a dispute is set for legal channels, however, a forensic accountant may also provide litigation support to a client by retrieving, compiling, and processing any financial data relevant to their case. On occasion, it is necessary that a financial dispute be resolved via legal channels. In such an instance, attorneys may retain forensic accountants in order to build their case upon the foundations of stable financial advice. In court, the forensic accountant might lend their expertise to the witness stand. 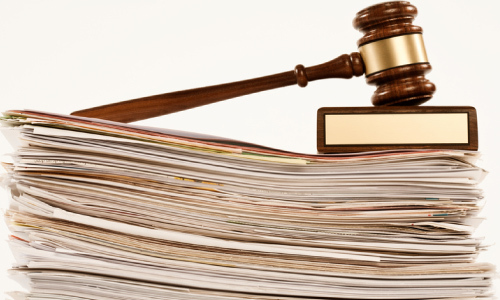 As experts in finance and finance-litigation, they are able to provide reliable testimonies with regards to all matter of economic disputes. Or they may even work on the other side of the witness stand – lending their guidance to legal counsel in the formulation of key questions relating to financial evidence. Their honed and practiced investigative approach affords forensic accountants an insight into problems or gaps that may otherwise have gone unnoticed. It is often this high attention to detail, cultivated by the forensic accountant’s broad knowledge base, that makes the difference between successful and unsuccessful resolution of financial disputes. In addition to testimonial support, litigation support may also come in the form of a more technically simple – but equally as essential – guiding financial hand. Whilst attorneys often demonstrate an impressive capacity to retain and express financial information with regards to relevant legislation or legal precedent, their focus is narrowed by their legal lens. Forensic accountants work closely with legal counsel to provide assistance during research, or in the compilation of relevant financial data, to ensure that casework is both accurate and compelling when it reaches the court. After a case has been tried, forensic accountants may assist in determining and calculating economic damages. This may involve compiling relevant data points and translating these into comprehensive and applicable reports. Their expertise allows settlement discussions to run smoothly and in a manner that is financially just. If you require Litigation Support services or an Forensic Accountant Melbourne expert, contact Kingston & Knight today (03) 9863 9779 or email us on admin@kingstonknight.com.au. Investigative accounting deals primarily with criminal matters and is the process of determining and identifying the existence, or degree, of any illegal financial activity. Sometimes – though less commonly – investigative accounting does peruse civil matters; such as in a divorce case in which one spouse withholds hidden assets from the other and a forensic accountant is retained to investigate the matter. Often, a forensic accountant will be tasked by a corporate entity to investigate suspected illegal engagements by an individual, or individuals, within the company. On other occasions, they may be retained by a government department to conduct an investigation into suspected criminal activity. In the latter instance, special permission may be given to engage in government sponsored hacking for the purpose of a thorough investigation. Otherwise, forensic accountants are well-versed in various software to legally acquire relevant financial data points when conducting an investigation. With a broad range of skills to support their approach, the forensic accountant plays perhaps the most essential role in the discovery and charge of financial falsification and misconduct. And never has there been a time when this role has been as significant as it is today. With recent advances in modern technology – the onset of the internet, increasingly advanced coding, and newer and more powerful computers –, has come greater access to more ways of committing financial offences. As such, it is with great ease that individuals and groups are doing such things as falsifying financial statements, and committing identity theft or insurance fraud. Fortunately, forensic accountants are proficient with an equally as vast skillset to identify and investigate these matters. One of the primary means of such an investigation is electronic discovery, or “e-discovery”. Electronic discovery is a sweeping term that encompasses all investigations concerned with the examination and detection of electronic data. Using their computer, software, a network, or a combination of these, forensic accountants are able to discover digital data to assist in their investigation. Consider for instance, that a forensic accountant is retained for the investigation of major insurance fraud. Using various networks or software, a forensic accountant will investigate relevant electronic data and files to confirm or deny the legitimacy of the respective insurance claim or claims. The forensic accountant will then compile the data, create a report for their client, and finally advise on the next course of legal action. This approach epitomises the usefulness of forensic accounting with its combination of legal and financial support. Investigative accounting also refers to non-electronic data. In this way, the investigation does not always entail the discovery of financial data, but the interpretation of already known data. In other words, a forensic accountant may be provided with a collection of relevant files and information, and tasked to investigate them using their unique financial knowledge. Forensic accountants are retained for the investigation of vast and various financial offences. Because forensic accountants have specialised skills in distinct fields, investigations are supported by an individual familiarity with each financial ecosystem. Kingston & Knight are well-versed in a number of different financial and legal skills. It is our ability to see connections between legal and financial systems that sets us apart from your typical accountants. In fact, our forensic accountants normally require at least three years experience in accounting before they can be accepted into the field. Thus, a high level of financial and legal proficiency is inherent to the position – a sort of guarantee to our clients that we are a reliable expert in the field. Kingston & Knights forensic accountants can be of assistance to a varying and broad spectrum of clientele. Our skills in investigation, litigation, and financial interpretation is often sought by attorneys for litigation support, companies or individuals for looking into dubious financial transactions, or even government organizations for the detection of financial criminal activity. 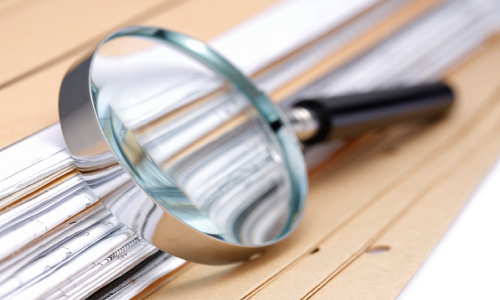 Whilst the approach to forensic accounting varies on a case-by-case basis, it is often helpful to consider the forensic accountants approach as composed of three primary steps: investigate, report, support. Clients that retain forensic accountants retain them for an entire process. The process, in its simplest form, involves investigating financial information relevant to the client’s case, interpreting this information into an easily understandable report for their client, and then supporting their client in their dispute by advising on legal approaches relevant to the financial issue. It is important to note, however, that whilst this is a typical approach to forensic accounting (and a helpful way of thinking about the field), the role is not strictly confined to this linearity – rather it adjusts according to the individual needs of each client. For example, forensic accountants may be retained for the purposes of providing testimony to the court as an expert witness, in this case their skills of reporting significant information that they have interpreted takes precedence. When considering whether to retain the services of a Kingston & Knight forensic accountant, the greatest compelling factor to bear in mind is our ability to provide clients with “the big picture”. Kingston & Knight are known across Melbourne to be the experts in both finance and its application to litigation. Much has been said about the fact that whilst a lawyer may advise on law, and an accountant on finance, often neither have the proficiency that the forensic accountant does to translate one into another. This is not only significant for the overall approach to financial dispute resolution or financial investigation, but also for client experience. A Scenario – Consider, for instance, that an individual is seeking to bring their ex-spouse to civil court based on the suspicion of hidden assets in their divorce. Now consider that this individual retains a typical accountant and an attorney. The attorney, accountant, and individual discuss their approach to the pending dispute. The attorney suggests a legal route and explains the significance to the accountant, the accountant contributes with their own advice for a financial route and explains this to the attorney, and the individual contributes their own desired outcome. The meeting that follows is one in which each contributor explains and elaborates upon their viewpoint, attempting to tie it into the others’ by opening and closing multiple ports of communication. By retaining a Kingston & Knight forensic accountant instead, we are able to have the desired outcome interpreted into clear and cohesive advice that combines relevant notions of litigation and finance. The process is much more resourceful and time-efficient by cutting straight to the essential matters and excluding the unnecessary clutter of clarifications. If you require Forensic Accountants Melbourne services contact Kingston & Knight today on (03) 9863 9779 or email us on admin@kingstonknight.com.au. When to use a Business Accountant Melbourne? The services provided by accountants extend far beyond doing tax returns and payrolls. In fact, there are a variety of ways in which accountants can assist your business in its growth, development, and overall success. Many business owners and operators may be unaware of these services, or how hiring an accountant could be the key to success for their business. There are many situations throughout the business life-cycle where hiring an accountant can ease the burden on management and operations. They can assist with writing an effective business plan, applying for a loan, or managing a government audit, for example. Though this is the case, you don’t necessarily need to maintain a retainer or full time relationship with an accountant. In many cases, a few hours of their time may be enough to get your books back on track. A key concern for any diligent small business owner is saving money, so it stands to reason that you may not think you can afford to hire an accountant. It is best to instead look at things on the basis of time; how long would it take you to manage your taxes? Could that time be better spent in other areas of your operation? Imagine, for example, that it takes you 10 hours to do the taxes for your business, and your time is valued at $100 an hour. The total cost of doing the taxes yourself would be $1000, and there’s always the risk of mistakes being made – especially if you are multitasking, as most business owners are. Getting a qualified accountant to take care of complex or time-consuming tasks such as taxes can often cost less per-hour than your time is worth. As the business owner your time would be free to generate revenue, and you could do so with peace of mind knowing that an expert is taking care of your business. So, are there any other moments during the life cycle of a typical small business where an accountant’s service might come in handy? Accountants are able to use complex accounting software to add reports and financial projections to your business plan. Strategic assistance and information such as this can ensure your business plan is professional, realistic, and likely to succeed. It is also beneficial to familiarise yourself with an accountant’s services at this early stage so you are aware of them later on. Financial advice and knowledge such as that offered by accountants is invaluable as a business moves to take its first steps towards success. Legal structure is not uniform across businesses. There are several different types of legal structure, all of which are determined by certain factors and have various important implications. For example, some companies are called limited companies; others are corporations, sole traders, and proprietors. Legal structures such as these vary from country to country. Each type should be considered carefully while you determine which one best suits you and your business. For example, if you choose to operate as a sole proprietor or sole trader you may be able to offset some of your living expenses against tax by invoicing in your own name. On the same note, this could render you personally liable for any business-related obligations. Failed to pay a supplier? Defaulted on a debt? Lost a lawsuit? If you are a sole trader/proprietor, your business’s creditors may be able to legally come after your personal assets to reclaim any debts. In the limited liability company structure, this is different. As the name implies, your business’s liability would be limited to assets legally owned by the business, not your personal assets (though exceptions may occur in some situations). A business accountant is able to explain these details to you, and can assist you in choosing the legal structure which best suits your business and personal interests. Small business accounting can become complex, fast, if you decide to do it on your own. You may lose track of where money is going, who owes who what and how much – an accountant will be able to assist you in getting back on track. Business accountants routinely perform measurements of key business metrics, such as the ratio of wages and other staff costs to total revenue. An accountant can further your understanding of these costs and comparisons by visualising them for you, and assisting you in understanding how these costs may change over time. Some business accountants use cloud-based software, ensuring that they are able to share your accounting information with you quickly and efficiently. The charts, graphs, and tables which accountants expertly produce can save you time and money by allowing you to understand your business’s financial situation at a glance. Having access to such resources ensures that you always have a finger on the pulse of your business, and areas of concern or potential don’t go unnoticed. Melbourne SMSF Auditor and/or SMSF Accountant on (03) 9863 9779 or email us at admin@kingstonknight.com.au.